CME Group's August FX report revealed several upcoming new products this fall. Derivatives marketplace giant CME Group (NASDAQ: CME) has released a detailed monthly composite of its product segments. In August 2017 the group saw a strong growth across a number of different areas, including several records in its futures and open interest volumes. August 2017 was unusually active for a summer month, with a higher number of trading days (23) and an uptick in trading volatility playing key roles. A combination of escalating rhetoric and geopolitical events on the Korean peninsula also kept markets on edge and active, seemingly dispelling the notion of a summer lull. 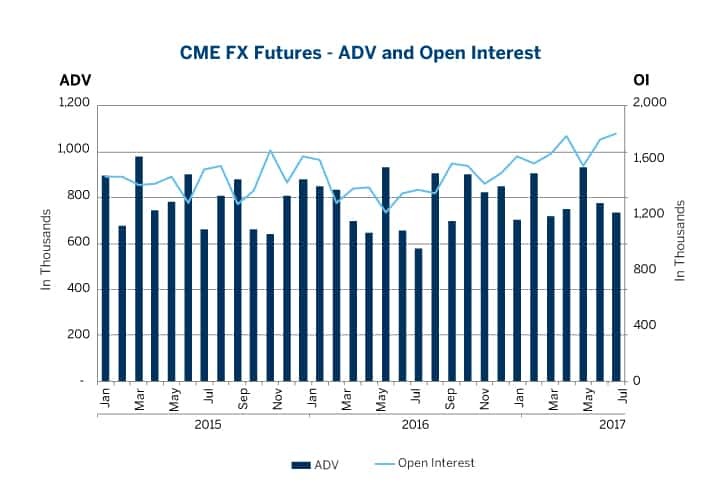 In particular, CME Group set a record for open interest in FX futures and options on August 3, 2017 – this corresponded to 2,717,398 contracts. CME Group’s FX futures ADV for the month of August was reported at 731,489 contracts ($75.6 billion notional), a jump of 26.6 percent on a yearly basis from August 2016. 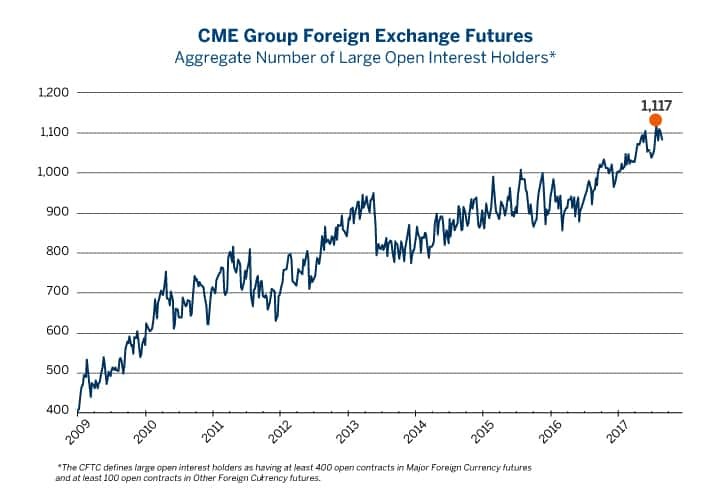 Futures open interest also came in at 1,802,982 contracts during the month, which corresponded to a growth of 30.0 percent year-over-year from August 2016. The latest tranche of FX options ADV also yielded 85,653 contracts ($10.6 billion notional) in August 2017, which justified an increase of 69.6 percent year-over-year from August 2016. 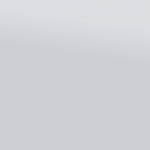 This was amongst the group’s strongest segments of the month. A closer examination of CME Group’s open interest also revealed multiple records being set across specific options. This included an all-time record of open interest CADUSD options on August 3, 2017 of 126,102 contracts. Moreover, FX weekly options ADV scored a record during the month of August, having now established fresh highs in six consecutive months. CME FX Weekly options traded at a record high of 30,659 contracts per day in August 2017, led by euro and Japanese yen FX options. Looking ahead, CME Group is also rolling out multiple new product segments, including implied pricing across its FX monthlies. Starting on September 25, CME will be implementing implied pricing, which will look to enhance liquidity across all expiries, including both outrights and spreads. The implied pricing will apply to EUR/USD, JPY/USD, CAD/USD, GBP/USD, AUD/USD, and EUR/GBP pairs. Furthermore, a previous launch of CME’s Self-Match Prevention (SMP) enhancements on September 24 is being pushed back to October 2. 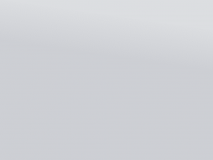 The group’s SMP represents an optional function that enables market participants to prevent the matching of orders for accounts with common ownership if both the buy and sell orders contain the same SMP ID and Globex Firm ID. Ahead of this date, CME Group will be offering a mock trading session on September 30, for customers to test their Self-Match Prevention configuration within the CME Globex production interface.